Intel has announced to launch its new Skylake Core i9-7980XE CPU processor for high end desktops this September 25th bidding price of 2000 dollars. 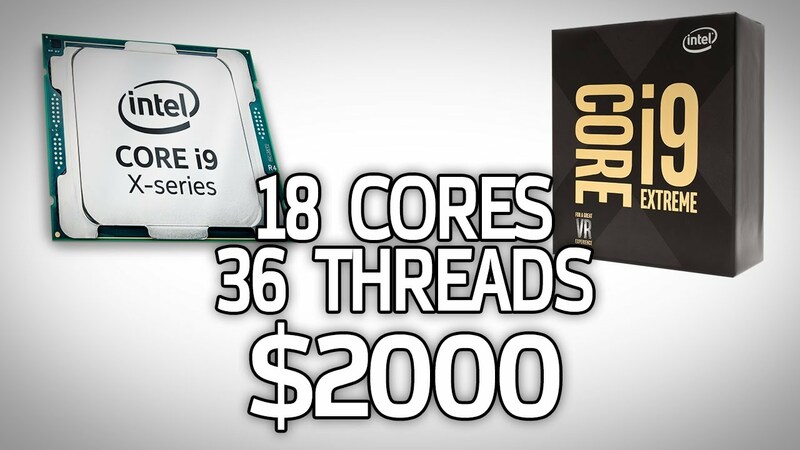 Along with this model, few more processor are released which are 16C/32T i9-7960X for 1,700 dollars followed by 14C/28T i9-7940X for 1,400 dollars. The 12C/12T i9-7920X is launched before a month of the launch of other three processor chips, on August 28. This enables for a better fast processing system and boost speed. The products are categorized into two types – 12 core products and 14-18 core products, which are bound to release on 28th August and 25th September respectively. All the products are categorized under the X-series processors. 1. Core and threads – 18/36 is the Core/threads for this chip. 2. 2.6 GHz is the Base clock speed in this processor. 3. It is enabled with the Turbo Boost Max Technology (TMBT), version 3.0. 4. The TMBT is built in with the frequency of up to 4.4 GHz. 5. L3 cache is about 24.75mb. 6. The memory support is 4 channels DDR4-2666. This is common to all the products, which are yet to be released. 9. Socket (LGA) – 2066. This is a special feature as it has appeared in the motherboards only by the June 2017. It would be the latest update on the processors. These are some of the notable features of the processor, with high end quality system processing. These CPU products are basically targeted for the VR creators, Wild gamers and Graphic professionals. In a recent interview, the Intel officials stated that this product has been increased with 20 percent in its performance with regard to VR creation and 30 percent in the editing and mixing of 4K videos. If it is found that the above mentioned features are perfect and precise, then it would be a huge break-through in the tech market. It is designed at its core to meet the everlasting computing demands of overclocking, gaming and Visual Reality Content creating. So, there is less hanging of the system and more working with the system. • It comes as a brand new Teraflop CPU. • It supports the Intel AVX-512. • It is fully unlocked for the purpose of performance tuning. • It comes as a Rebalanced Intel – Smart Cache hierarchy. It is a known fact that Intel faces a healthy competition with AMD’s Ryzen CPU’s. There has been an increased rivalry and pressure on Intel, from Threadripper and delidding. New products with better quality, cheap price and systemized processing output to its customers could be the only way to survive in the market. This gives a competitive edge over the other competitors in the market.